Guadalupe Plaza is a small scenic urban park in downtown Houston. Come out and see the beautiful architecture. Welcome to Marrs-Satsuma Pocket Park in Houston, Texas. Tom Bass was a man of great public service, raning from the United States Army to being a State Representative. It only makes sense that they named a larger park after such a great man. Tom Bass Regional Park itself is divided into three sections and this article covers section II. Come out and play a nice game of golf of fly some remote control airplanes at it's field. Welcome to Mickey Leland Memorial Park in Houston, Texas. This park is named in memory of former U.S. Congressman Mickey Leland who was from the Houston area. It was first officially dedicated on November 10, 2010. 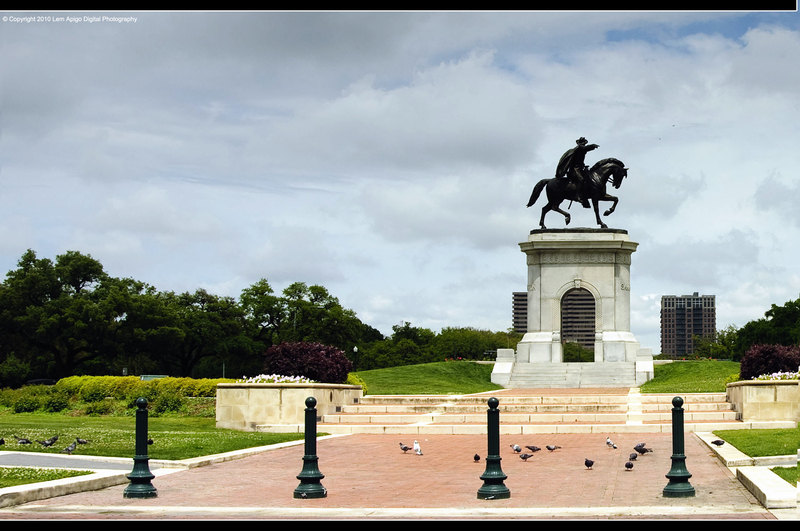 Located in downtown Houston, Quebedeaux Park is named for a locally renouned environmental lawyer Walter Quebedeaux. Sagemeadow Park is a nice suburban playground in Houston, Texas. All of the athletic courts are lighted so people can play at night.